In the wake of the massacre at a Sikh temple in Wisconsin, a number of reports emerged that the gunman was a former soldier who embraced the white supremacist movement during his time in the Army more than a decade ago. Wade Michael Page served at Fort Bragg, North Carolina, from 1995 until he left the Army in 1998. 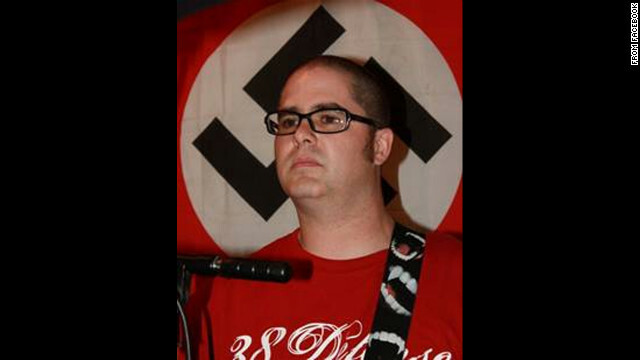 A criminologist who interviewed Page told CNN that's where he became a white supremacist. "What he told me during the course of our time together was that he really started to identify with the neo-Nazism during his time in the military," Pete Simi, a Univerisity of Nebraska criminologist told CNN recently. "He (Page) really started getting into during his time in the military." But the Army Thursday said extremism in the military is not as widespread as the Page case might seem to indicate. Syrian Prime Minister Ryad Hijab defected this week, joining the list of several other high-level members of the Syrian regime who have abandoned President Bashar al-Assad as he struggles to maintain his grip on power. U.S. Secretary of State Hillary Clinton said Hijab's actions are another sign that al-Assad will fall. "I'm not going to put a timeline on it," she said. "I can't possibly predict it, but I know it's going to happen as does most observers around the world." But the prime minister is the head of the government, and the government does not rule the country. The real power in Syria is held by the true "insiders," al-Assad's blood relatives. Maher Al-Assad - Al-Assad's youngest brother and rumored to be Syria's second-most powerful man. He is head of the elite, rabidly loyal Republican Guard and the 4th Armored Division. Namir Al-Assad - The president's cousin who is one of the top leaders of the Shabiha, the mercenary force used to suppress the opposition. Rami Makhlouf - The money behind the regime, al-Assad's first cousin is believed to be the richest person in Syria. He allegedly funds the regime's violent battle against protesters and rebels who are seeking to oust the president. Ali Mamlouk - As the head of national security, Mamlouk had U.S. sanctions leveled against him for human rights abuses and violence against civilians. 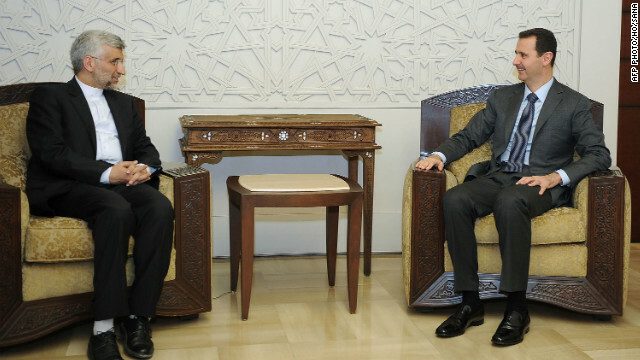 Almost all members of al-Assad's inner circle are Alawites, a minority Muslim group. Alawites make up less than 15% of the population. Three-quarters of Syrians are Sunni Muslims. Most of those who have defected are Sunni, including the prime minister. In July, one of Syria's most senior diplomats, Nawaf al-Fares, defected, publicly embraced his country's uprising and called for a foreign military intervention. Al-Fares was Syria's ambassador to Iraq. Manaf Tlas, a Sunni general in Syria's elite Republican Guards, also defected last month. Tlas is the son of a former defense minister and a cousin of a first lieutenant in al-Assad's army. Syria expert Hussein Ibish said al-Assad's inner circle has only one message for its fellow Syrians. " 'It's us or the abyss,' " Ibish said. " 'Stick with us or you will be massacred in your beds.' "
The regime operates like an organized crime syndicate, he said. "So it isn't possible to reform because what you would have to do to reform," Ibish said, "is start dismantling a mafia operation, a set of rackets, a set of interrelated criminal enterprises." Iran: High stakes nuclear poker game? There is a cartoon in the Israeli newspaper Yediot Aharonot that pretty well sums up the nail-biting showdown facing the United States and Israel when it comes to Iran's nuclear program. Israeli Prime Minister Benjamin Netanyahu, U.S. President Barack Obama and Iranian President Mahmoud Ahmadinejad are sitting at a table playing poker, sweating and looking at one another, with a nuclear weapon as a big pot in the middle. Who is bluffing? 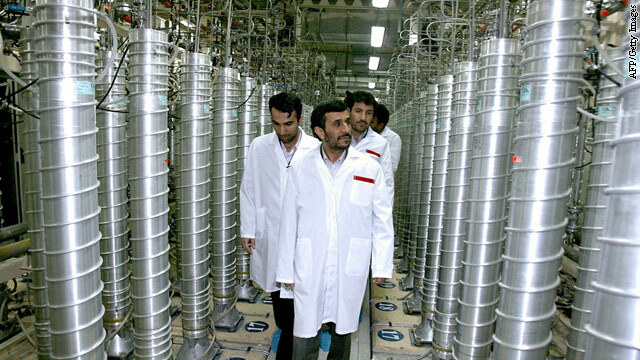 Will Ahmadinejad go for the bomb? Will Netanyahu take out the Iranian nuclear program before that happens? Will Obama save the day? When it comes to high-stakes nuclear poker, everyone is trying to outsmart the other. 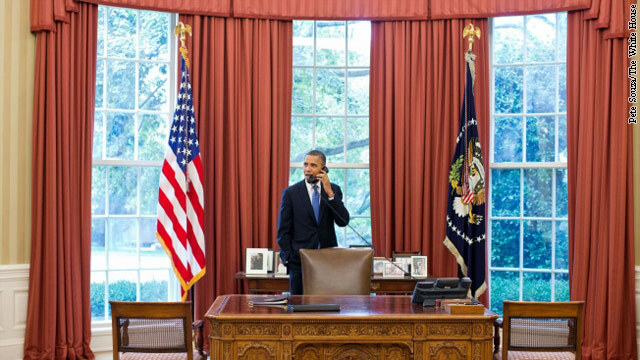 President Barack Obama is considering whether to issue an executive order to fill a gap in the country's cybersecurity defenses after Congress failed to move forward cybersecurity legislation last week. Homeland Security adviser John Brennan said failure to pass legislation that would grant the government more authority in heading off cyber intrusions and attacks, has left a gap that the executive branch is working to fill on an interagency basis, using the resources of the Department of Homeland Security, the National Security Agency and the FBI. "Executive Orders are a good vehicle to actually direct the departments and agencies to do some certain things to make sure that the nation is protected," Brennan said during a question and answer session at the Council on Foreign Relations in Washington. "We can't wait, so we're doing things, DHS in conjunction with NSA, FBI, others are working to make sure that we are able to better safeguard our environment but also be able to respond but also be able to be resilient." A new cyberweapon that secretly steals bank account information from its victims was exposed on Thursday. The sophisticated malware, discovered by Internet security company Kaspersky Labs, has been capturing online bank account login credentials from its victims since September 2011. There's no evidence it's been used to steal any money. The virus instead appears to be a spy interested in tracking funds: It collects banking login information, sends it back to a server, and quickly self-destructs. Dubbed "Gauss," a name taken from some of the unique file names in its code, the malware appears to be a cyber-espionage weapon designed by a country to target and track specific individuals. It's not known yet who created it, but Gauss shares many of the same code and characteristics of other famous state-sponsored cyberweapons, including Stuxnet, Duqu and Flame. Those viruses are widely believed to have been developed by the U.S. government. But unlike Stuxnet and Flame, which targeted an Iranian nuclear facility and spied on Iran's government officials, Gauss seems to have primarily gone after people in Lebanon.